The following is the required training for clergy, employees and adults who volunteer for the Diocese of Paterson, including volunteers for Catholic Charities. The Diocese utilizes programs created by the National Catholic Risk Retention Group under the brand name VIRTUS. Child sexual abuse is a worldwide public health issue. Child abuse, and abuse of vulnerable adults, particularly sexual abuse, is reprehensible—especially when the wrongdoer is affiliated with the Church. The Diocese of Paterson uses the curriculum licensed from VIRTUS Protecting God&apos;s Children®. Child abusers and those who abuse vulnerable adults, seek to operate and abuse their power within nurturing, environments where it is assumed that nobody would want to harm someone who is vulnerable. By utilizing best practices for training and loss prevention, the Protecting God&apos;s Children program helps make churches and our Catholic Charities organizations safe for all people—especially children. Maximizing a church&apos;s role as a child-safe environment begins with making adults more aware of the ways children and adults interact with each other. 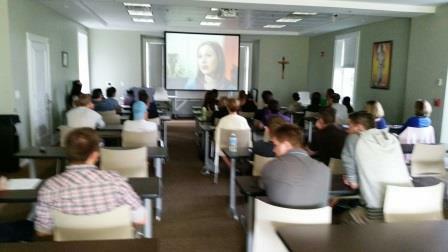 The Protecting God&apos;s Children program educates and trains adults (clergy, religious, teachers, staff, volunteers, and parents) about the dangers of abuse, the warning signs of abuse, the ways to prevent abuse, the methods of properly reporting suspicions of abuse, and responding to allegations of abuse. The purpose of the training is to make adults working with children and vulnerable adults in the Church aware of how to protect children. Our Protecting God’s Children program for adults is a three-hour live program. This awareness session makes trainees understand the signs of child sexual abuse, the methods and means by which offenders commit abuse, and five empowerment steps one can use to prevent child sexual abuse and abuse of vulnerable adults. Continuing online training is a valuable component of the Protecting God’s Children program for the continued awareness of child abuse. Every parish and school is required to appoint LYPC, an onsite employee/volunteer designated by a pastor or principal at their parish or school, whose responsibilities and duties include, but are not limited to, the management of compliance data for their site’s employees and volunteers.. The Diocese looks to train new certified Virtus "Protecting God&apos;s Children" Facilitators. All Virtus Facilitators are required to participate in this two-day training hosted by the Office of Child and Youth Protection(OCYP). Anyone interested in becoming a facilitator can contact the office. The Diocese of Paterson is always recruiting new volunteers to facilitate the live Virtus "Protecting God&apos;s Children" program throughout our Diocese, including Catholic Charities. The requirements are simple, you must be a part of Diocese, be of good reputation, and be comfortable in presenting material in front of an audience. The Diocese provides the training and materials for those who may be interested. Please contact Eric Wilsusen, in the Child Protection Office of the Diocese of Paterson at 973-777-8818 x257 or ewilsusen@patersondiocese.org for more information.